TERROIR's Maitland City Bowls project has been featured in Steel Profile, Australia's leading industry magazine. The building makes an innovative use of steel structure to engage with the existing building. 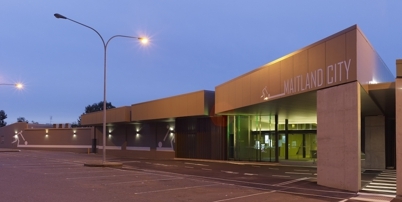 So far, stages 1 and 2 of the Maitland project have been completed while the existing building remains occupied and in operation. The Steel Profile article discusses this and other aspects of the design and its realisation over the past few years. Steel Profile, Issue 106. August 2010.